Taylored Expressions posted their new Sketch Challenge and Inspiration Photo Challenge a couple of days ago. The inspiration photo was a bouquet of flowers in tangerine, yellow and lime green colours. 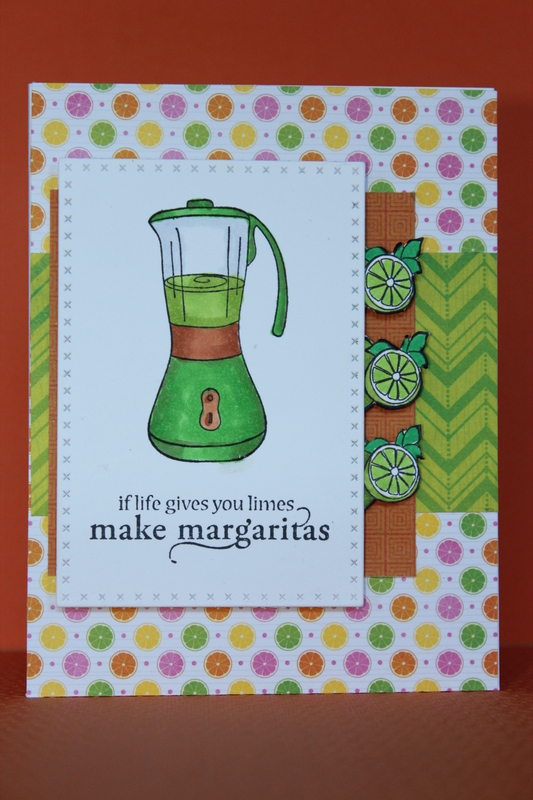 Now, I love flowers, so you would think I would be all over that like pink on baby girls…………but no………….I started thinking about Margaritas and the Rio Mirage Cafe in El Mirage, AZ., and Happy Hour and well you get the picture. It recently snowed here in Calgary. Rotten luck that I live in a place with two days each of Spring, Summer and Fall and three hundred and fifty nine days of winter, given that I really don’t like snow much. Posted on November 8, 2015, in Card Samples, Challenge Entries, Debbie's Challenge Entries, Oscar's (Deb's) Card Samples and tagged challenges, Copics, Taylored Expressions. Bookmark the permalink. 2 Comments. 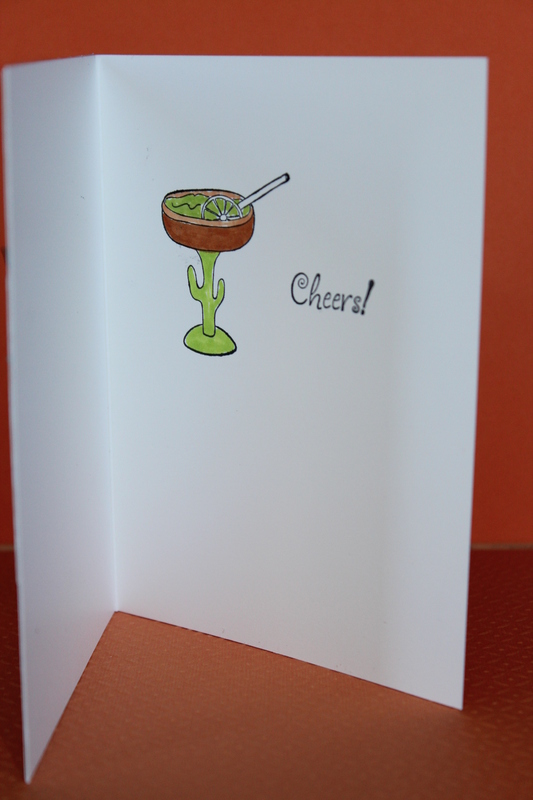 Super fun card! I really like your take on the sketch!! 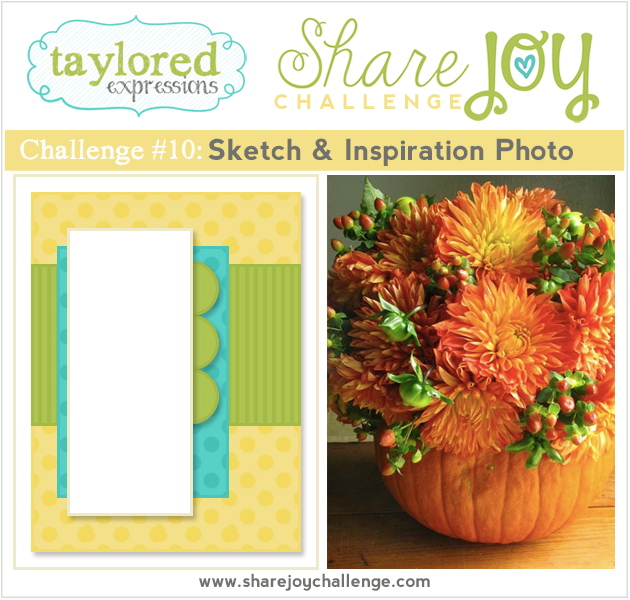 Thanks for joining us for this week’s Share Joy Challenge!